LOS ANGELES (September 5, 2018) - The Music Center announced it will present two star-studded concerts, JONI 75: A Birthday Celebration Live at the Dorothy Chandler Pavilion on November 6 and November 7, 2018, featuring an incredible array of singers and musicians who will honor one of the world's most remarkable artists, Joni Mitchell, on her 75th birthday. On both nights, Glen Hansard, Emmylou Harris, Norah Jones, Chaka Khan, Diana Krall, Kris Kristofferson, Los Lobos, Graham Nash, Seal, and Rufus Wainwright, will perform songs from all stages of Mitchell's life and career, across the entire oeuvre of her 19 studio albums. Co-musical directors, providing the musical arrangements for the evenings, are percussionist Brian Blade, who recorded three studio albums and toured extensively with Mitchell, and, pianist, composer, arranger producer Jon Cowherd. •	Glen Hansard: Academy Award-winning and multi-Grammy nominated singer-songwriter Glen Hansard releases music under his own name and is also a member of the bands The Frames and The Swell Season. Hansard starred in the movie Once and was honored with an Oscar for his song "Falling Slowly." 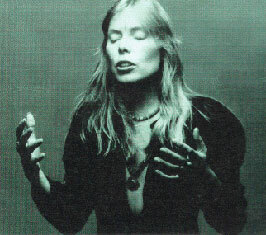 Joni Mitchell's song "Coyote" was the first song of hers to fully captivate Hansard, who subsequently recorded the song in the studio with drummer Brian Blade for a project still to be released. •	Emmylou Harris: A 14-time Grammy Award-winner, Emmylou Harris' contributions as a singer and songwriter span 40 years. Harris, who is known as much for her eloquently straightforward songwriting as for her incomparably expressive singing, has recorded more than 25 albums. She was inducted into the Country Music Hall of Fame in 2008 and earned a Grammy Lifetime Achievement award in 2018. In 2007, Harris recorded Mitchell's song "The Magdalene Laundries" for a multi-artist tribute CD celebrating Mitchell's music that was released by Nonesuch Records. •	Norah Jones: Nine-time Grammy Award-winner Norah Jones first emerged on the world stage with the 2002 release of Come Away With Me, her self-described "moody little record" that introduced a singular new voice and grew into a global phenomenon, sweeping the 2003 Grammy Awards and signaling a paradigm shift away from the prevailing pop music of the time. Since then, Jones has sold 50 million albums worldwide. In 2007, Jones' rendition of Mitchell's song "Court and Spark" was featured on Herbie Hancock's multi-Grammy Award-winning album The Joni Letters. •	Chaka Khan: One of the world's most celebrated musicians, with a rich musical legacy, 10-time GRAMMY Award-winner Chaka Khan has influenced generations of recording artists. A songwriter, actor, author, philanthropist, entrepreneur and activist, Khan has the rare ability to sing in seven music genres, including R&B, Pop, Rock, Gospel, Country, World Music and Classical. Affectionately known around the world as Chaka, she is revered by millions of fans as well as her peers for her timeless, classic and unmatched signature music style and ability. Throughout her legendary career, she has released 22 albums and racked up 10 #1 Billboard magazine charted songs, seven RIAA certified gold singles and 10 RIAA certified gold and platinum albums. Khan was invited by Mitchell to sing on the song "Dreamland" for Mitchell's album Don Juan's Reckless Daughter. Khan joined James Taylor and Herbie Hancock to celebrated Mitchell's induction into the Canadian Songwriters Hall of Fame. •	Diana Krall: Multiple Grammy Award-winning jazz pianist and world-renowned singer Diana Krall is the only jazz singer to have eight albums debut at the top of the Billboard Jazz Albums chart. To date, her albums have garnered five Grammy Awards and 10 Juno® Awards and have also earned nine gold, three platinum and seven multi-platinum albums. Krall's unique artistry transcends any single musical style and has made her one of the most recognizable artists of our time. Krall recorded Mitchell's "A Case of You" on Krall's 2002 album Live in Paris and has performed Mitchell's song "Amelia" from the album Hejira many times in her live shows. •	Kris Kristofferson: Heralded as an artist's artist, the three-time Grammy Award-winner has recorded 28 albums, including three with pals Willie Nelson, Johnny Cash and Waylon Jennings as part of The Highwaymen. Kristofferson has spent three decades performing concerts all over the world, in most recent years in a solo acoustic setting, which puts the focus on the songs. His renown as a songwriter triggered Kristofferson's successful career as a musician and led to a career as an actor. In 1969, Kristofferson joined Mitchell, Bob Dylan, Graham Nash and Shel Silverstein for an evening at Johnny Cash's home, showcasing music at a gathering that has been described as one of the most potent assemblages of songs showcased for the first time in one place. •	Graham Nash: Grammy Award-winner and two-time Rock and Roll Hall of Fame inductee Graham Nash has produced a remarkable body of work, beginning with the Hollies in the 60s and continuing through his union with Crosby, Stills & Nash (& Young) and his solo recordings. His songs, including "Teach Your Children", "Our House", "Just A Song Before I Go", "Immigration Man" and "Chicago/We Can Change The World" amongst many others, are part of the collective DNA of an entire generation. Appointed an Officer of the Order of the British Empire by Queen Elizabeth in recognition for his contributions as a musician and philanthropist, Nash is also an internationally renowned photographer and visual artist whose work has been shown in galleries and museums worldwide. Nash, who shared Mitchell's home in Los Angeles, was inspired to write the song "Our House" when, on a dreary day, the two visited a local restaurant and Mitchell found a vase in a nearby antique store that she bought and filled with flowers while Nash lit a fire. According to an interview in Performing Songwriter (2016), Nash said, "'Now, my and Joan's life at the time were far from ordinary ... and I thought, 'What an ordinary moment.'" •	Los Lobos: Multiple Grammy Award-winners David Hidalgo, Louis Perez and Steve Berlin of Los Lobos perform a powerhouse mix of Rock, Tex-Mex, Country, Folk, R&B, Blues and traditional Spanish and Mexican music, which Perez once called "the soundtrack of the barrio." With its humble beginnings as a garage band in 1973 East Los Angeles, Los Lobos has seen much success. Its worldwide crossover hit, "La Bamba", from the 1987 film of the same name, reached #1 on the U.S. and UK singles charts. Now celebrating its 45th anniversary, Los Lobos still jams with the same raw intensity featuring music that is culturally rich, rocking and lyrically provocative. These concerts will be the first-time members of Los Lobos will perform music by Mitchell live. •	Rufus Wainwright: Recognized as one of the great male vocalists, composers and songwriters of his generation, Rufus Wainwright has released eight studio albums, three DVDs and three live albums including the Grammy-nominated Rufus Does Judy Live at Carnegie Hall. Wainwright's celebrated first opera, Prima Donna, premiered in 2009 to much acclaim and his second opera, Hadrian, commissioned by the Canadian Opera Company, will premiere in October 2018 in Toronto. Wainwright immersed himself in Mitchell's material when he performed at Joni: a Portrait in Song - A Birthday Happening Live at Massey Hall in Toronto in 2013. •	Seal: London-born multi-platinum singer-songwriter Seal has been focused on a single creative pursuit: expressing the full experience of love through song. Known for his one-of-a-kind soaring, husky baritone voice and classic songwriting, Seal has seen success across numerous genres of music. His smooth vocal delivery on hits like "Crazy" and "Kiss from a Rose" quickly cemented his status as a formidable singer, and over the years, he's extended his influence with a wide catalog of original music and soulful covers earning him multiple Grammy awards and selling more than 30 million albums worldwide. Seal was invited by Mitchell to sing on her song "How Do You Stop," which was featured on her album Turbulent Indigo. •	Brian Blade: Acclaimed drummer and musician Brian Blade studied and played with many master musicians while studying music at Loyola University in New Orleans. He went on to form Brian Blade & The Fellowship Band with pianist Jon Cowherd in 1997 and, together, have released four albums. Blade released his first album as a singer-songwriter, Mama Rosa, in 2009, and has been a drummer in The Wayne Shorter Quartet, recording with Daniel Lanois, Joni Mitchell, Ellis Marsalis and Bob Dylan. Blade worked with Mitchell for more than 15 years, performing on her albums Taming The Tiger, Both Sides Now, Travelogue, and Shine, and performed live with her on two world tours and at numerous special live events. •	Jon Cowherd: Jon Cowherd is best known for his long-running partnership with drummer/bandleader Brian Blade, with whom he co-founded the Grammy-nominated Brian Blade & The Fellowship Band. Together, their acclaimed, influential albums showcase Cowherd's stellar keyboard work and singular compositional skills. In 2017, Cowherd released Gateway, a new recording on the exclusive, vinyl only, Newvelle record label. He has played and recorded with Mitchell as part of a collaboration with Brian Blade & The Fellowship Band. Dedicated to Joni Mitchell, The Music Center's Soirée: JONI 75 will celebrate her 75th birthday with an exclusive party in the Eva and Marc Stern Grand Hall at the Dorothy Chandler Pavilion immediately following the November 7, 2018 concert. Guests will have the opportunity to commemorate Mitchell's birthday in grand style at a special event that will include a post-performance dinner and special surprises. According to Moore, The Music Center's Soirée: JONI 75 will salute Mitchell's many talents and her artistic contributions, which continue to inspire countless other artists. "Joni Mitchell epitomizes The Music Center's belief in the power of the arts to transform lives," Moore said. "We are privileged to celebrate her 75th birthday and hold our gala in her honor and to present her with The Music Center's Excellence in the Performing Arts Award for her innumerable contributions and her role as an inspiration to the artists of today and tomorrow," Moore added. Proceeds from the event will benefit The Music Center's programs. Those funds will help The Music Center provide access to the performing arts to new and diverse audiences through nationally recognized arts education programs, world-class dance presentations that inspire and enchant audiences, and free and low-cost community programming that reaches across boundaries of age, race, ethnicity, gender and beyond. The event features an unprecedented collaboration of the board leaders of The Music Center, its resident companies - Center Theatre Group, the Los Angeles Master Chorale, LA Opera and LA Phil - and Music Center support group Center Dance Arts, who are coming together to co-chair the gala to honor one of the world's most influential artists. The evening's co- chairs are Kiki and David Gindler, Barbara and Jay Rasulo, Catharine and Jeffrey Soros, Lisa Specht, Eva and Marc Stern and Phil A. Swan. Single tickets to the JONI 75: A Birthday Celebration Live at the Dorothy Chandler Pavilion concerts on November 6 and 7, 2018, start at $45 and are available at The Music Center's Dorothy Chandler Pavilion Box Office, 135 Grand Avenue, Los Angeles, CA 90012; by calling (213) 972-0711; and online at musiccenter.org/joni. Special packages, including prime seats for the November 7, 2018 concert and gala dinner, are available by calling (213) 972- 4322 and online at musiccenter.org/joni75soiree. The Music Center is Los Angeles' home to the world's greatest artistic programs and events with four iconic theatres and an outdoor plaza. In addition to its four-renowned resident companies - Center Theatre Group, the Los Angeles Master Chorale, LA Opera and LA Phil - The Music Center presents an international dance series, free and low-cost public programming and special events and activities for all ages. From its early days, The Music Center has been a pioneer in arts education and offers a multi-faceted program from K-12. With The Music Center On Location,™ the non-profit performing arts organization brings programming to locations outside of its Downtown Los Angeles campus. The Music Center also programs and manages Grand Park, a 12-acre adjacent greenspace, with year-round free programming. For more information, visit musicenter.org. Follow The Music Center on Twitter and Instagram @MusicCenterLA and on Facebook at facebook.com/musiccenterla. Two concerts honoring Joni Mitchell on her 75th birthday; an exclusive birthday dinner celebration follows the concert on the second night. This article has been viewed 15,197 times since being added on September 5, 2018.